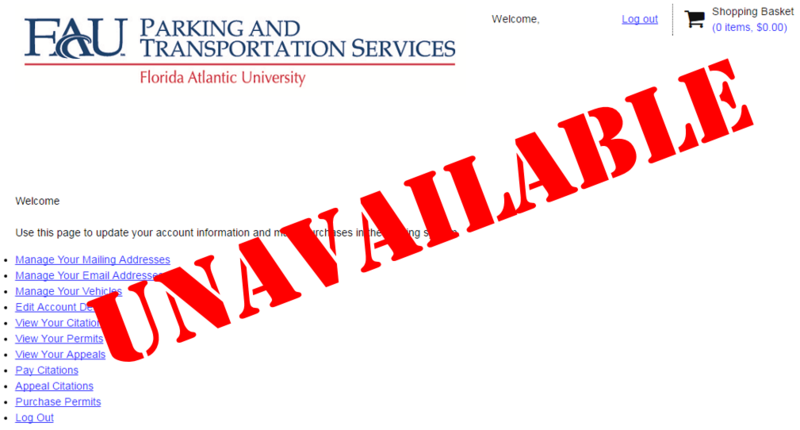 The parking payment system will undergo an upgrade on Wednesday, February 8th at 9:00 p.m. EST. The system will be unavailable for the duration of the upgrade. We apologize for the inconvenience. The Parking and Transportation Office and Information Booth will be closed on Thursday, December 22nd from 12:00 pm to 2:00 pm. We will be unavailable to answer calls for service during this time. Thank you for your patience. 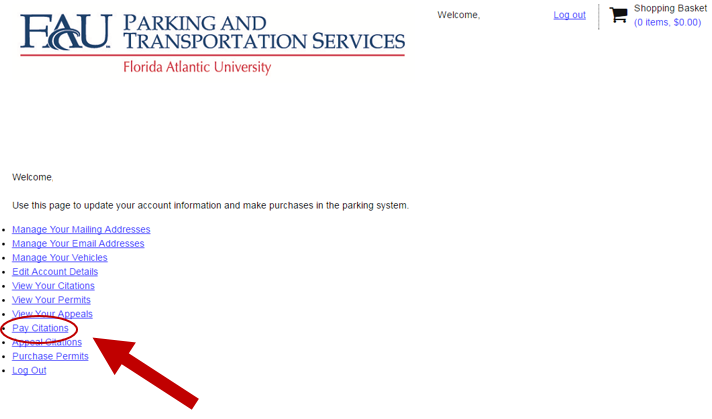 WHAT: Pay for FAU Parking Citations with non-perishable canned goods. For every can brought in, a $5 credit will go toward the citation. For example, have a $25 citation? Pay with five cans! Exclusions apply. See Rules below for details. 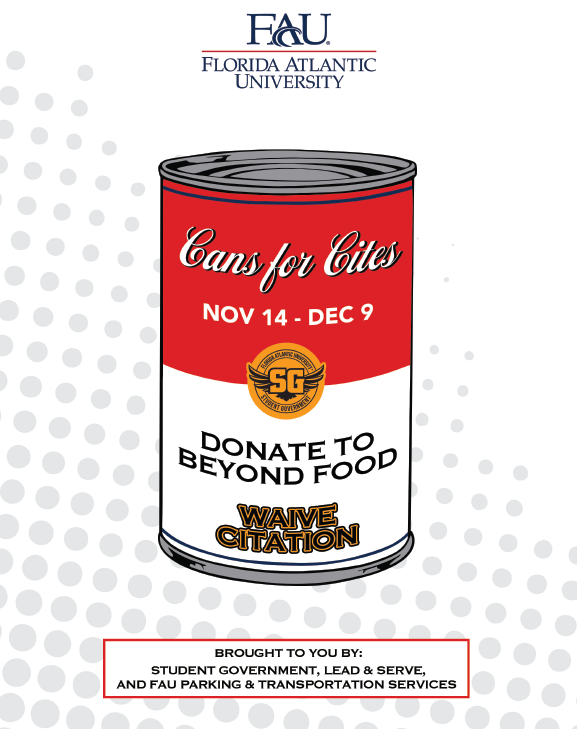 Canned food collected will benefit FAU’s Beyond Food Program and Boca Helping Hands. 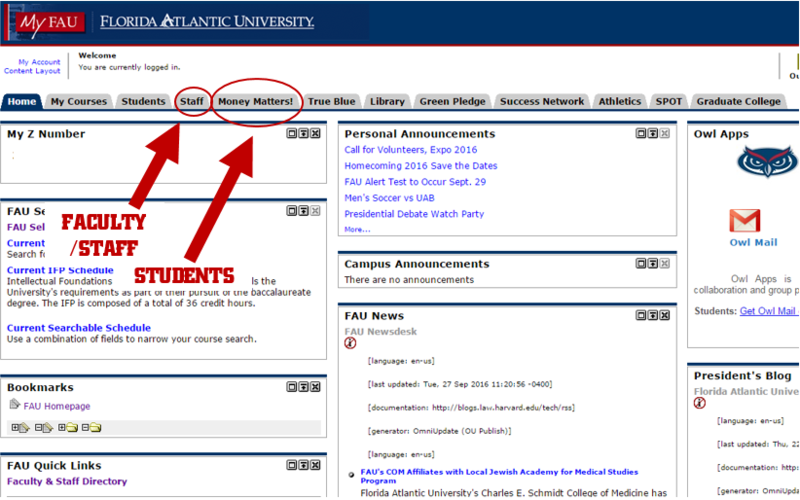 For more information and items to donate, please visit fau.edu/dean/beyondfood. WHEN: Monday, November 14, 8 a.m. through Friday, December 9, 5 p.m.
Any citations meeting the criteria and issued during the program dates must be paid off with the non-perishable canned good by 5 p.m., Friday, December 9. Valid for one (1) citation per student. Our office will reopen Tuesday, January 3rd, 2017 at 8:00 am. 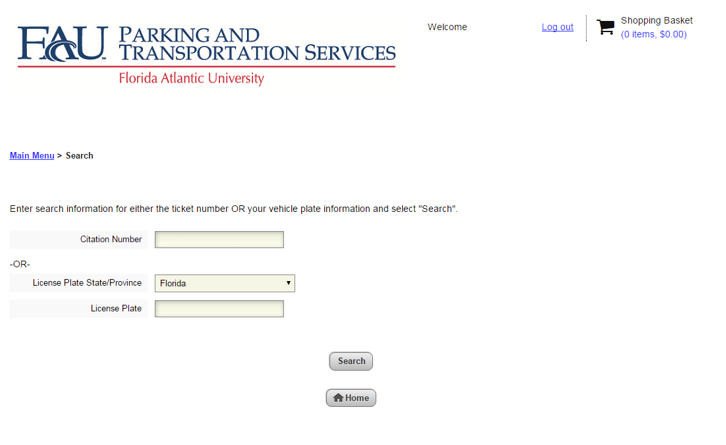 For the complete university holiday schedule, visit www.fau.edu/hr/holiday-schedule.php. This temporary change does not apply to reserved and disabled spaces. 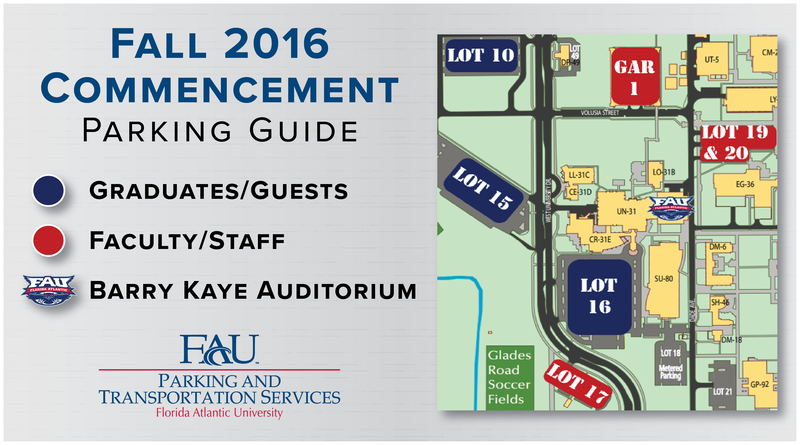 Due to Hurricane Matthew, all resident students staying on the Boca Raton Campus for the duration of the storm are encouraged to park in: Garage 1 (Levels 1-5) or Garage 2 (Levels 2-5). Green permits may park in these areas without being cited until 6:00 am on Wednesday, October 12th. All other parking rules will still be in effect. Parking on the grass, walkways, sidewalks, or along curbs is not permitted. For weather advisory updates, please visit www.fau.edu/advisory. Effective immediately, all late payments for citations (over 14 days) must be completed online. Payments can be made via computer or mobile device. If you have any questions, please contact us at (561) 297-2771. 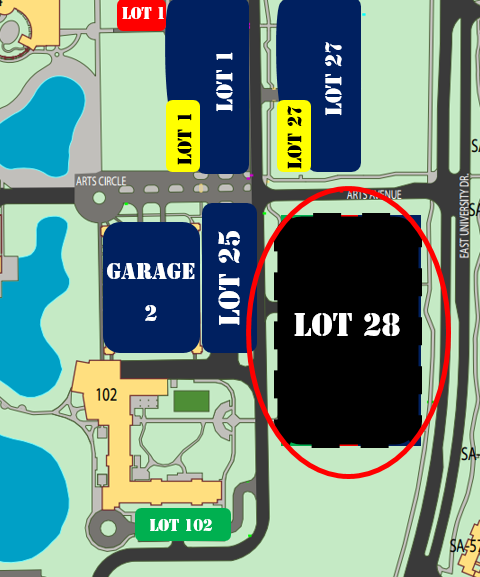 Effective immediately, red, green, & blue permits can park in lot 28. Lot will continue to be enforced 24/7. 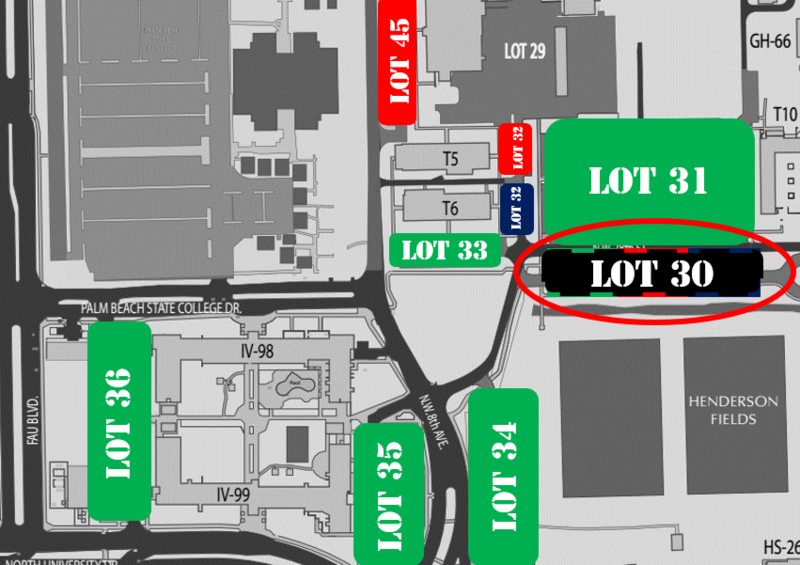 Effective immediately, red & green permits can park in lot 30, north of Henderson field. Blue permits are still permitted. Lot will continue to be enforced 24/7. Move in was a success! During that time we allowed vehicles to park in areas for the day to access residence halls with ease. 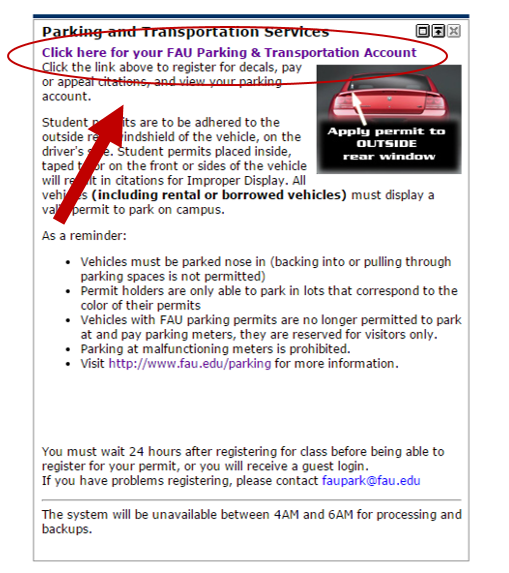 We also allowed students to park in lots without a permit the first two weeks of the semester. We did these as a courtesy to you, to make the transition into the new semester much easier. Beginning Tuesday, September 6th, we are resuming our normal parking routine and enforcement of all parking violations. Below we’ve outlined some important tips and reminders for you so you can avoid receiving a citation. 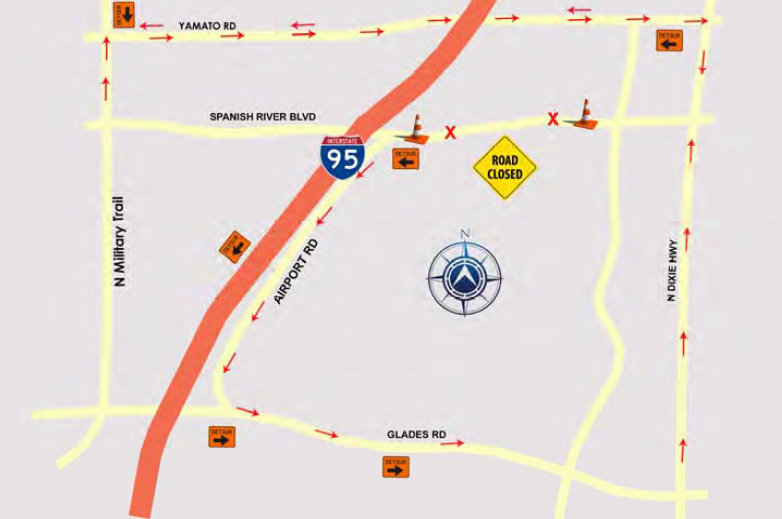 Commuter students: Park in blue lots. 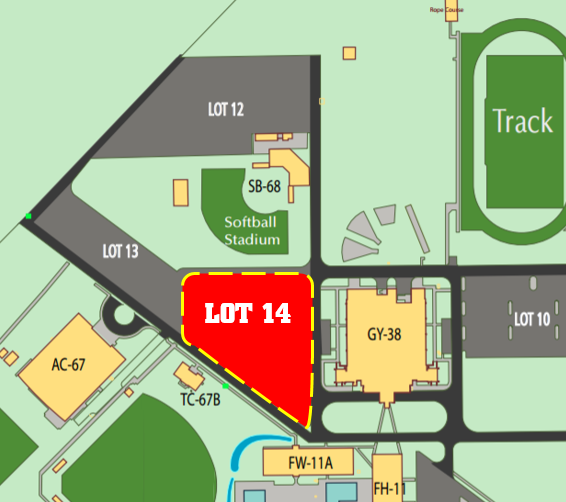 You may park in red lots between 6:00pm and 6:00am, unless otherwise posted. 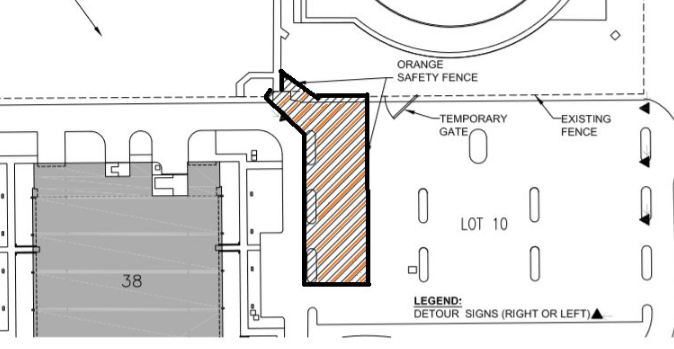 Do not park in lot 40 (PBSC) between 11:00pm and 6:00am. Resident students: Park in green lots. You may park in blue and red lots between 6:00pm and 6:00am, unless otherwise posted. Do not park in lot 40 (PBSC) at any time. 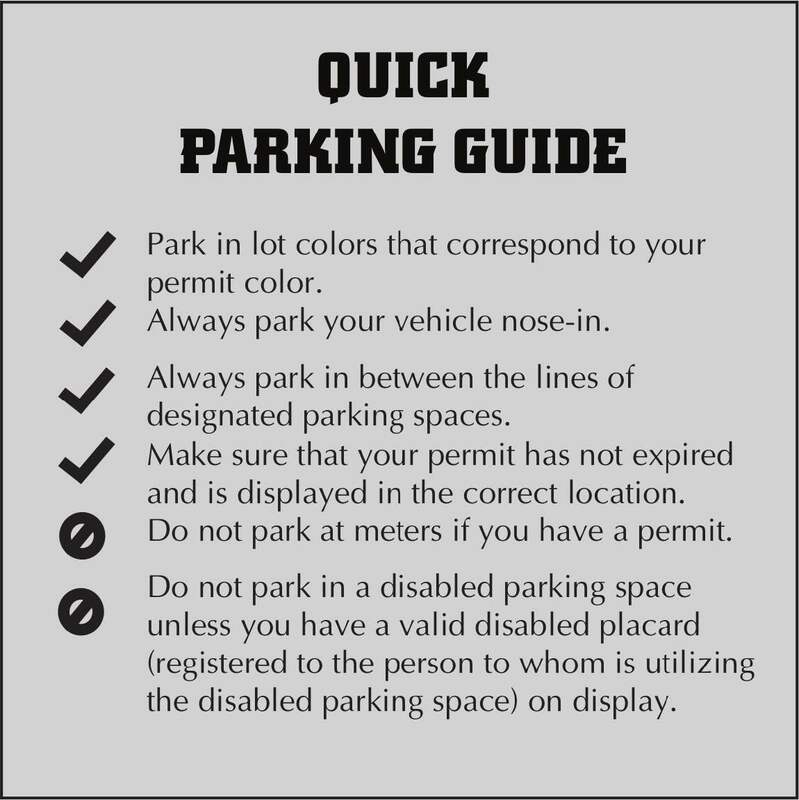 We’ve also included a quick parking guide, noting the most common parking violations.